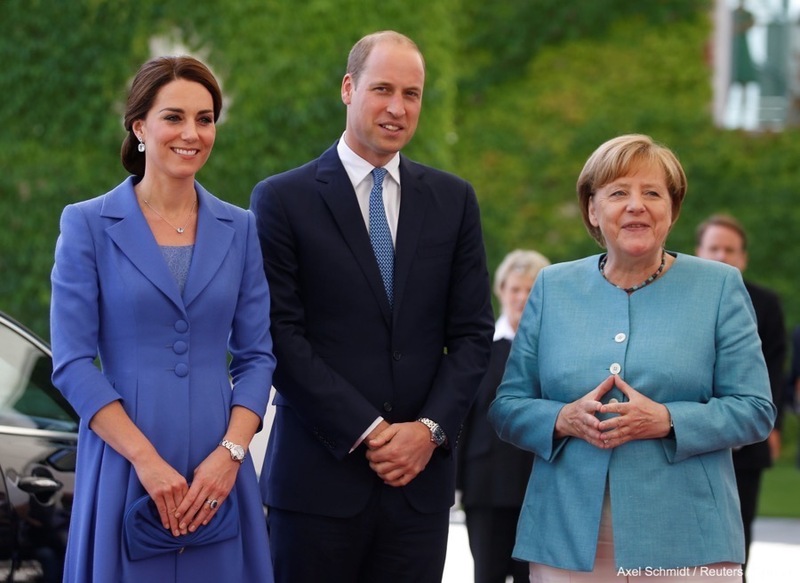 In 2017, the Duchess of Cambridge (Kate Middleton) visited Berlin, Germany. She debuted a new blue clutch bag. It was the Jimmy Choo ‘Vivien’ clutch. The bag is clam shaped with a snap-hinge frame. Like most of Jimmy Choo’s products, it was crafted in Italy. The bag features Swarovski-studded hardware. 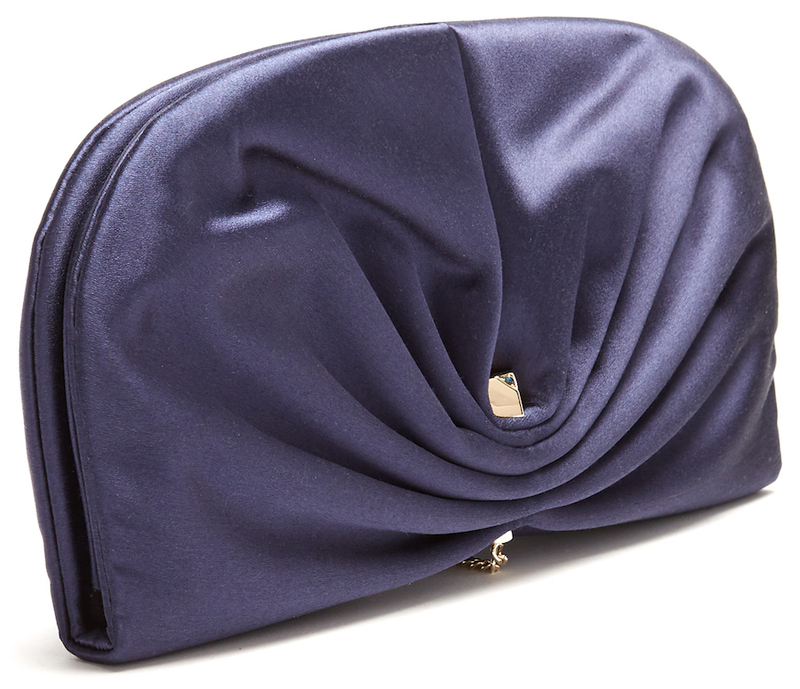 We believe that Kate is carrying a bespoke version of the clutch made from cornflower blue fabric to match her coat. 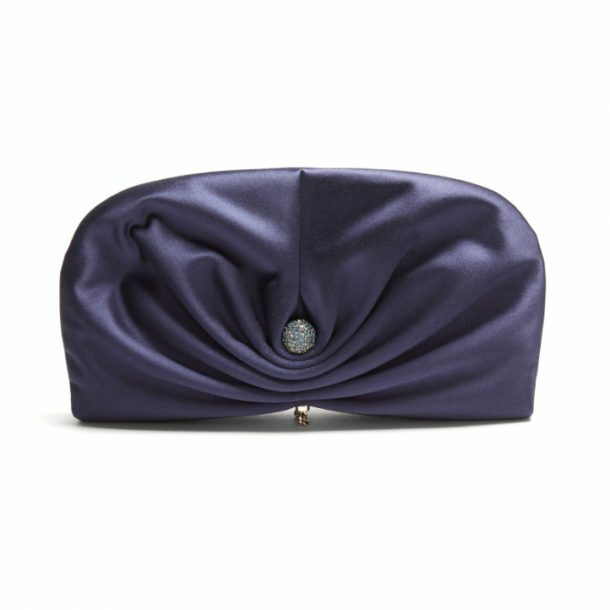 The dark blue version of the bag (pictured above) was previously available at MatchesFashion.com for £650 GBP (around $847 USD) but is no longer available for purchase.